PDF Small Town Charm pattern...pattern designed by Mickey Zimmer for Sweetwater Cotton Shoppe. 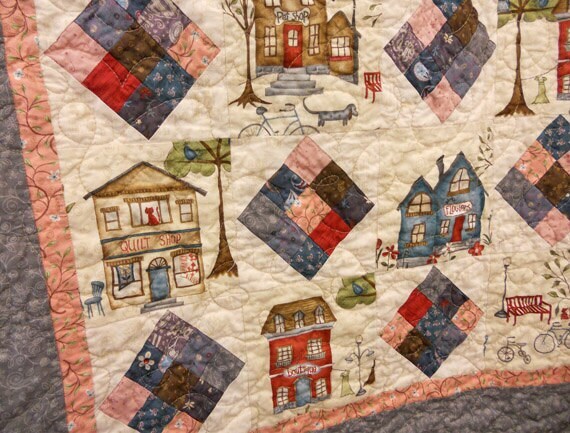 Small Town Charm is a delightful little wallhanging measuring in at 50 x 50 inches. The pattern showcases the scenic print from the Around Town fabric line by Whimiscals. 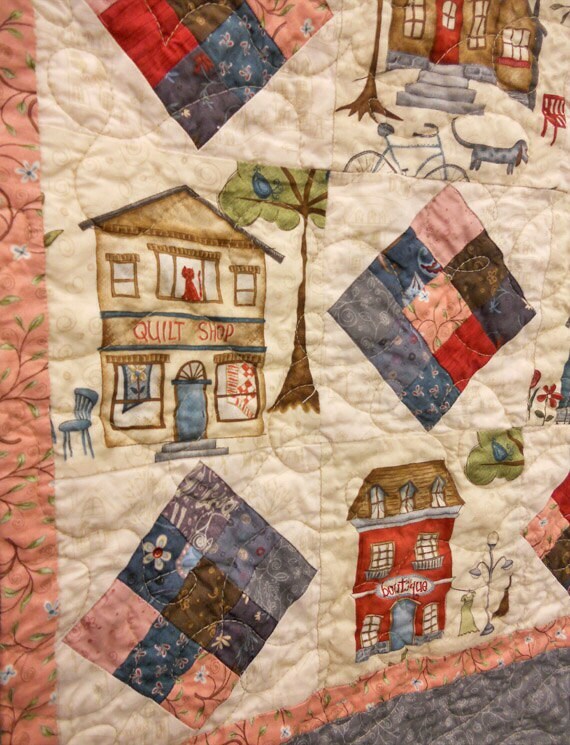 This quilt is the perfect combination of whimsical and wonderful...perfect for a baby's room, entry way, over a staircase, office, or nursing home. Warm and cozy colors are from Whimsicals include: eggplant, berry, teal, peach, grey, red, cream, and green. The border plays well with the narrow pieach border and the creamy background of the scenic print. Fabrics used are Simply Imagine and Around Town by Whimsicals. 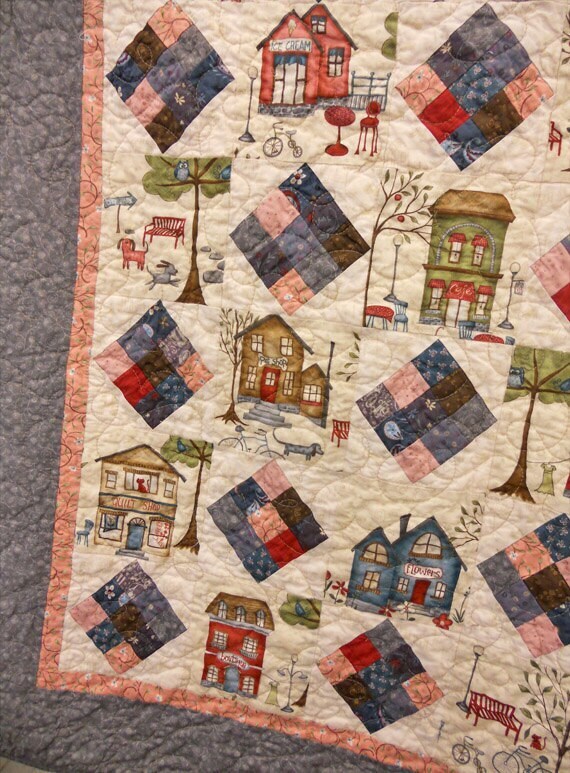 Small Town Charm designed by Mickey Zimmer for Sweetwater Cotton Shoppe.